I hope you have all had a wonderful Christmas season! We’ve had a nice relaxing holiday, and I can’t believe another year is coming to a close already. I’ve spent some of my time over the holidays organizing my craft room/computer room into a dedicated soaping space. Up until now, I’ve always hauled all of my stuff out to the kitchen to make soap, but because I want to try and increase production this next year, I’m going to try to keep everything contained in one room. I’m not used to making soap without a sink nearby, so that will take a bit of getting used to, but it’s workable, and I’m thankful to be able to have a dedicated space for all my soaping related paraphernalia. 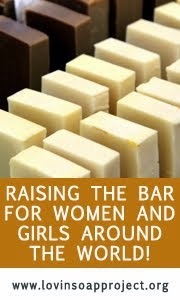 I’m curious, where do you all make soap? Do you have any tips or advice for soaping in a sinkless area? Beautiful soap and lovely inspiration! 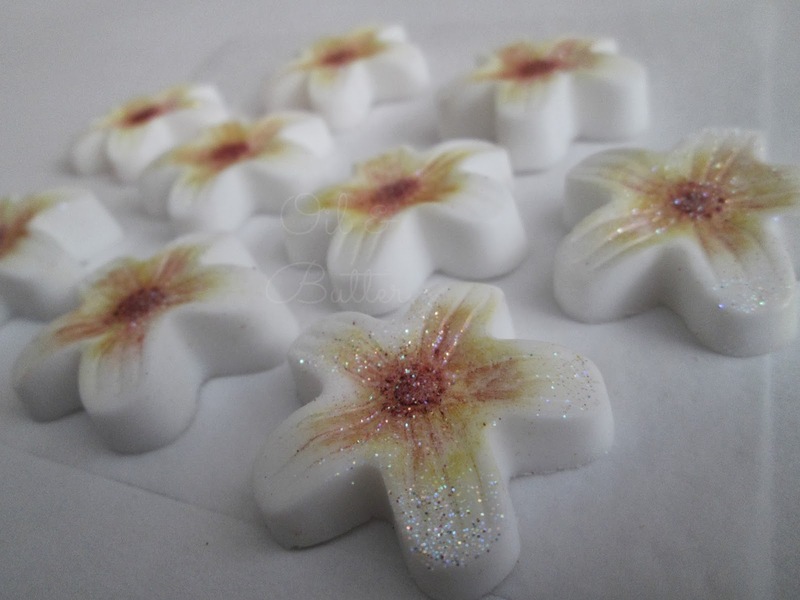 It reminds me of frangipani! 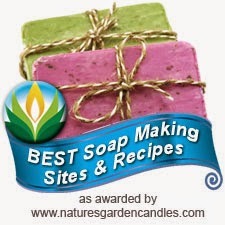 I wish a healthy 2014 year, Christine, and a lot of inspiration( can't wait to see your Black Lava and Red Alaea sea salts soaps) and much love! Hi Signe, thanks for sharing that! I did make my 2nd batch in the room today and it was definitely easier this time...I sort of feel like I'm learning how to make soap all over again! :) Wishing you all the best for the new year too! Love the tropical, lovely look of these bars, soooo nice! 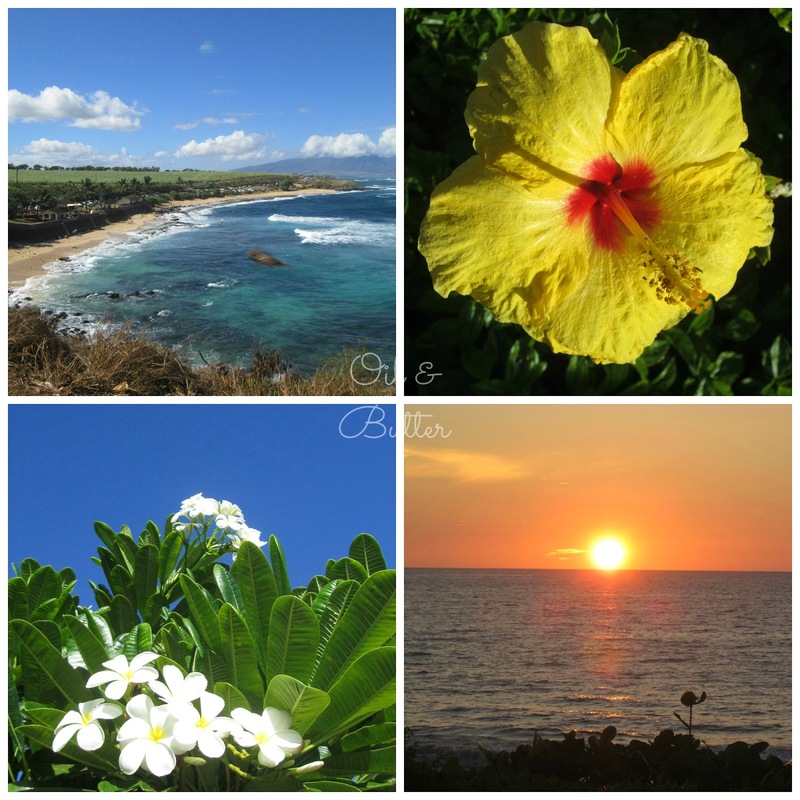 I traveled to Maui a few years ago with my sisters and had a wonderful time as well, so much beauty there. I still cart most of my soaping stuff out to the kitchen! I recently converted a portion of the kitchen cabinets to soaping ingredients and that has helped. I have grand ideas of converting a little room in the garage for my soap, like you I am wondering about a sink. Hi Anna, Maui is amazing, isn't it?! I really did appreciate the laid-back pace of the island. If it helps, I actually haven't missed the sink as much as I thought I would. I just cart all of my used soaping dishes out into the kitchen to wash, it's actually easier than I thought it would be, but I'm still getting used to it! Now I can see where you got the inspiration for this beautiful flower soap. I would also like to visit Maui. In our old home, I always soaped in the kitchen but now I don´t know where the best place would be. We have now an room for the computer and all my soaping stuff, but no sink. And then we also have a large bathroom that would have a perfect pace for soaping. I´m just worried that the ventilation would not be good enough when mixing the lye solution. Maui looks amazing. How nice that you were able to get a bit of R&R in before the craft season began Cee. The flowers are so pretty, I really like the way you painted in the colouring in the middle, just like the real thing. 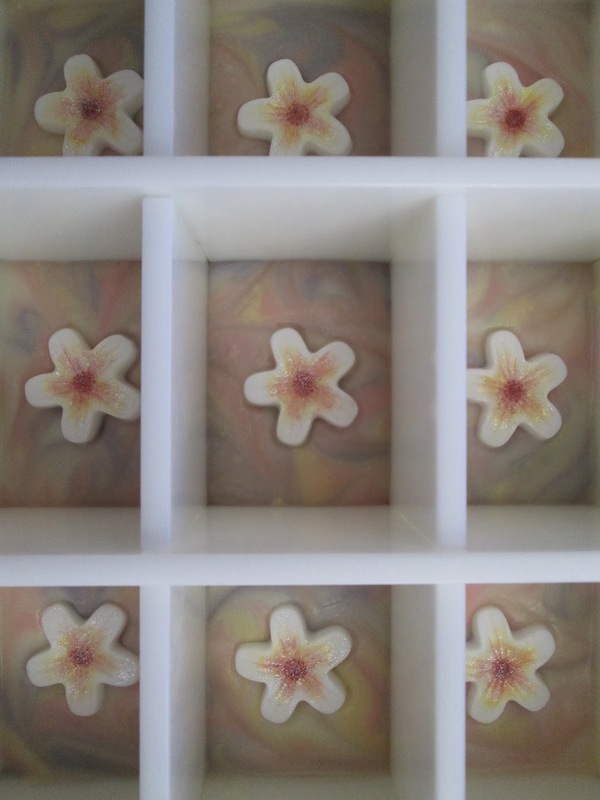 ANd your colours for the soap is wonderful, beautiful blend of colours. I moved my craft room up into the second bedroom, which has a bathroom right next to it, and down the hall a bit is the laundry room. So I have lots of access to a sink when I need it, not that I need it much for MP soaping. Can't wait to see what you do with your salts too. 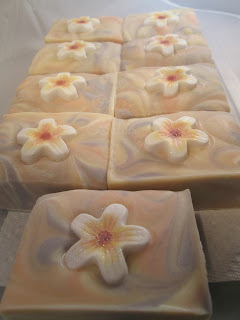 This soap turned out really beautiful! I whish you healthy, creative and successful 2014! Wow, I never realized that you could do master batch with lye solution as well! How long you can storage it? I was near an accident with lye solution once (the bottom of my glass jar cracked off), so I'm very careful with lye nowadays. 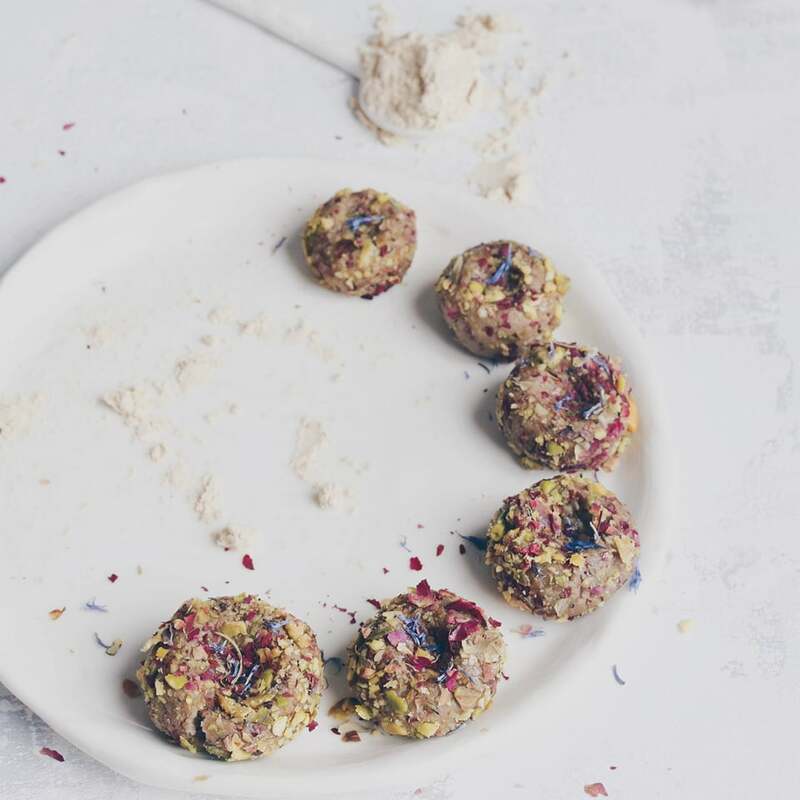 Thank you so much for this reminder about masterbatching lye Gordana...I really need to try it out, I've saved a really heavy-duty plastic container just for this purpose, and it would make things so much easier! Wishing you a wonderful 2014 also! Mahalo! It's such a beautiful word from an equally beautiful place and people. 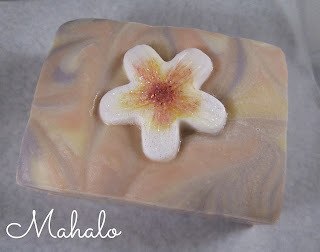 Your Hawaiian-inspired soap is so pretty! Like many soapers, I don't have a dedicated area, although how I wish I did! I make soap in the kitchen but most of my things are in the guest room, which has become my stockroom of sorts. I will try to free up some space in the kitchen to store some of my soap stuff. Wishing you good health, peace, joy, and a prosperous new year! Keeping some of your supplies in the kitchen would definitely help cut down on the trips back and forth, it's amazing how much soap stuff we accumulate over time! Wishing you all the best for 2014 too Silvia! So much like plumeria! This wonderful flower looks so real,how nice and precise you did the mica brushing. 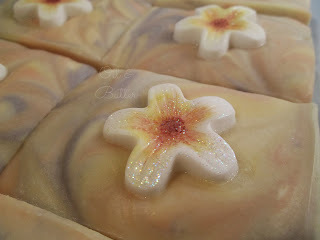 The soap looks great, so feminine, lady-like. Luckily, I still can keep my stuff at one place, this is my soap cabinet, placed in the kitchen. Only lye I keep separately, on the upper floor. I also need a sink and running water, I couldn't work differently. I'm glad that you can, having a dedicated room is something we all crave for. Mahalo is a gorgeous soap soap, Cee! I love those little flowers on top. It sounds like you had a lovely time in Maui. I spent four months in Oahu in 2003-2004. Such beautiful scenery - thanks for sharing your photos. It's great that you will soon have a dedicated soaping room. I would imagine soaping without a sink nearby would be a challenge, but you'll figure out how to make it work! I'm still dragging everything into the kitchen when I soap, so I don't have any advice. I'd love to have my own soaping room someday, though! Wow, 4 months would be a wonderful amount of time to spend in Hawaii! I've been to Oahu as well (a long time ago) and I'd love to go back again someday! In this new place I soap in a corner of the kitchen. I have more work space but I have to store my oils in a closet down the hallway. Still getting used to it but do far is working! HAPPY NEW YEAR! looking forward to more soapy blots in 2014!